Flying from Kuala Lumpur International Airport 2 (KLIA2) can be a little challenging especially if you’re flying during wee hours. 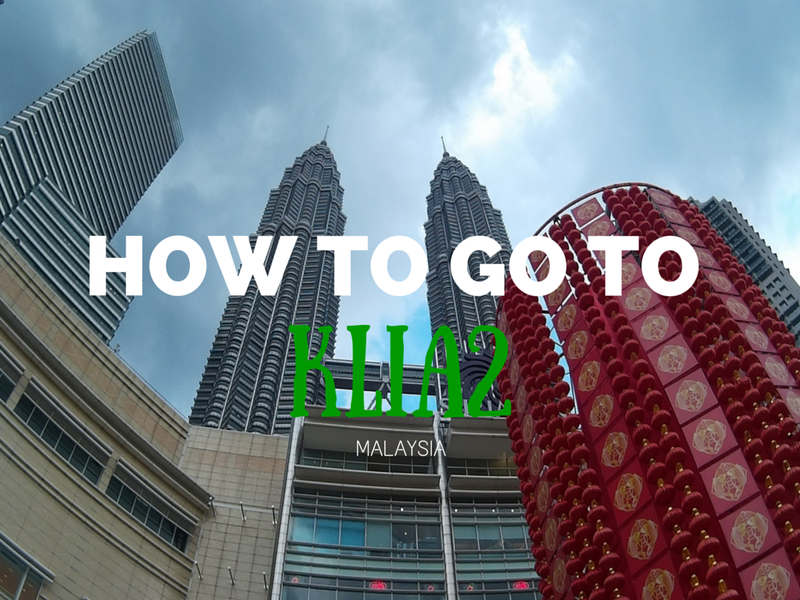 This is a short guide on how to go to KLIA2 easily and smoothly from KLIA and KL Sentral. Located about two kilometers away from KLIA, KLIA2 is accessible via a 2.2km extension of the existing Express Train Line which is served by 12 high-speed electric trains. Both KLIA Ekspres and KLIA Transit services will be serving the KL Sentral to klia2 line. With a fee of only RM55/one way (starting Jan 2016) and a 28-minute journey time from KL Sentral to klia2, KLIA Ekspres operates with 15-minute and 20-minute intervals during peak and off-peak hours, respectively. The inter-terminal fare between KLIA and klia2 is an affordable RM2 and the ride only takes 3 minutes. It is located within the Gateway@KLIA2 complex which also accommodates all other public transport serving KLIA2. KLIA Transit operates with 20-minute and 30-minute intervals during peak and off-peak hours, respectively. With 4 stops from KL Sentral to klia2, the journey takes only 39 minutes. Fare is the same with KLIA Expres at RM55 (starting Jan 2016). The cheaper option to go to KLIA2 is by Bus. KL Buses provide comfortable journey from KL Sentral to KLIA2 and vice versa. There are a number of bus companies operating this route but we recommend you take the Skybus. A trip from KL Sentral depending on the traffic situation usually takes an hour and 15 minutes for just RM10. SkyBus departs every 30min from 3:00am till 8:00pm and then every hour until last departure at 10:00pm. Detailed Skybus Schedule. For your convenience, you can book a KLIA to KL Sentral bus ticket online via EASYBOOK. A taxi ride from KL Sentral to klia2 can cost during the day approximately RM55-75 depending on the traffic load. At night this fare will rise up to RM80-95. The trip usually lasts 45 minutes depending on teh traffic situation.